Alexandra Burdfield heads up our technology desk specialising in recruiting candidates for cyber security jobs and other technology positions. In this interview she shares her insights for candidates and clients, and any one considering a role in technical recruitment. 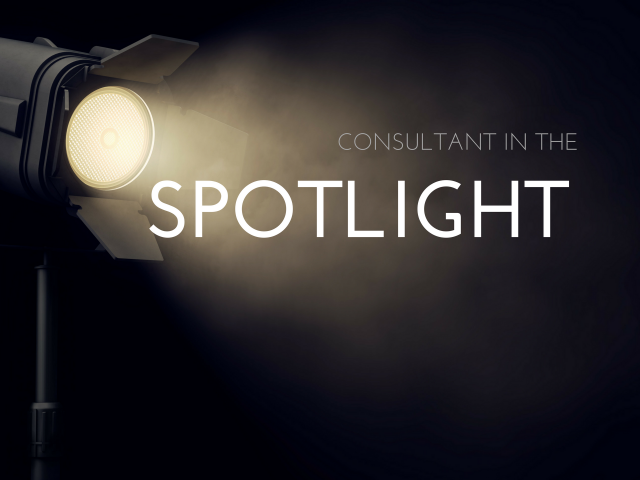 Alexandra (Lex) Burdfield is our Principal Technology Recruitment Consultant. She recruits candidates primarily for cyber security jobs as well as other IT and technology job roles. This is a departure from Energi’s building and structures niche, but builds on our experience of recruiting highly technical candidates in very specialist fields. Lex joined our team in 2017 specifically to head up our technology desk. She’s built this up from nothing to now being in a position to recruit team members to the desk. Here I talked to Lex about the technology arena, what it’s like working in technical recruitment and, most importantly, what it’s like working at Energi People. Read on for her insights and if you want to speak to Lex about technology and cybersecurity jobs, send her a message or give her a call! Jemma Kittle: What do you do at Energi People? JK: Before joining Energi People where did you work? LB: “I worked at a technology recruitment organisation for five years where I worked in different arenas of technology recruitment. I worked in everything from support roles to project managers and then in the last couple of years before I moved on I began to specialise in technology roles within the secure arena. JK: What do you most like about working at Energi People? JK: Since joining Energi People what have your learned, how have you progressed your career? JK: What are the challenges companies face when recruiting candidates in your area of expertise? LB: “Because it’s a specialist market, and it’s [cyber security] a newcomer to the technology market (awareness and engagement around cyber security is relatively new), many people want to get on the ladder but don’t necessarily have the opportunities to train. That makes bringing in people of the right calibre difficult. JK: What is the biggest challenge candidates face when looking for a new role? LB: “I think a top tip for candidates in cyber security is to engage with a recruitment organisation that is very aware of the arena. Someone who has worked in it for a length of time. I’m not a techie but specialist recruiters learn a lot from our candidates and our clients. So find a recruiter where you’re confident that they’re talking to their clients in the same way they’re talking to you and asking the right questions. You need someone who’s able to represent you in the right way. JK: How has recruitment changed since becoming a recruitment consultant? LB: “Social media is a huge difference. AI is also a big thing in recruitment, helping recruiters to screen candidates. The thing we’ve got to be careful of with using technology for recruitment is losing the human factor. Fortunately I don’t think that has changed since I started out in recruitment, we see lots of benefits of meeting with our clients to understand their business, culture etc. and the same with our candidates. The human-to-human element is still there. JK: What advice would you give someone thinking about becoming a recruitment consultant? JK: What do you get out of being a recruitment consultant? LB: “I like the fact that I can see something grow from A to B. I can see the full process, the full lifecycle. Here at Energi we’re able to take full ownership of that process, nothing is taken away from me, nothing is account managed, nothing is exec-ed, it’s all mine. When you start that process and you get to see it finished there’s a huge amount of satisfaction. “I also enjoy speaking to people and so I get to do that all day long, and I like meeting people from all walks of life and this job allows me to do that. We can access people from all corners of the earth and so it’s great to hear their stories and help them. JK: What are your plans for the future? JK: How do you take your tea? JK: What has been the highlight of your time at Energi People so far? JK: What do you like to do outside of work? JK: Who’s your office superstar? I hope you found these insights from Lex’s interesting. If you are looking for role in cyber security she’s the person to speak to! Explore IT and technology jobs here.